Vodafone has confirmed that it is now offering the Nokia N8 and HTC Desire HD – two of the most desirable handsets around, with the former available in an exclusive green hue from the network. In a short statement Vodafone stated that it would be carrying both the N8 – Nokia's new flagship phone and HTC's Desire HD – a follow up to the immensely popular Desire. 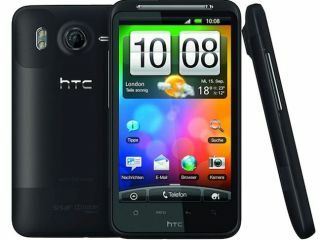 "The HTC Desire HD is available free on £35, 24 month price plans and customers buying the device online will get 900 minutes (compared to 600 offline) unlimited texts and 750MB (500MB offline) of mobile data," the company added. "Buying online will also give you 5MB of European roaming data in your bundle. "The Nokia N8 is the first smartphone to be based on the Symbian^3 software platform and is free on £30, 24 month price plans, including 300 minutes, unlimited texts and 500MB of mobile data. "The N8 is available exclusively in green to Vodafone customers."